Okay, maybe I am biased, but I really think that the Ottawa Humane Society hosts the best and most exciting fundraising events in Ottawa. This weekend will be the Summer Harvest Garden Party with some of the best food I have had in this town. The oyster bar alone would be enough to make me attend, but for this memorial for Chef Kurt Waldele, Ottawa’s chefs go all out with some of their most creative dishes and the results are stunning. Sample some fine wine, visit the new shelter, play spot-the-celebrity, and it adds up to the best Sunday you are likely to have this summer! 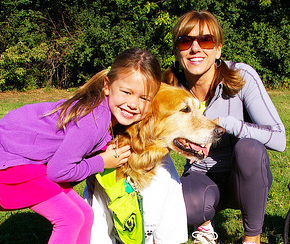 The Wiggle Waggle Walkathon will take place September 9. The walk is not only the most important fundraiser for the animals of the year, but also the most fun. The huge variety of dogs always amazes me. I see breeds that I have never seen before--or anywhere else. It is also amazing to see so many dogs in one place--and they are all getting along! It’s a great day for children too, given the many family-friendly activities. Whether you are a gourmet or a dog-watcher, you can help the OHS help Ottawa’s animals while having a great day out by participating in our events. Tickets to the Summer Harvest Garden Party and all the tools you will need to raise pledges at the Wiggle Waggle Walkathon can all be found at www.ottawahumane.ca. What really goes on under the Big Top?